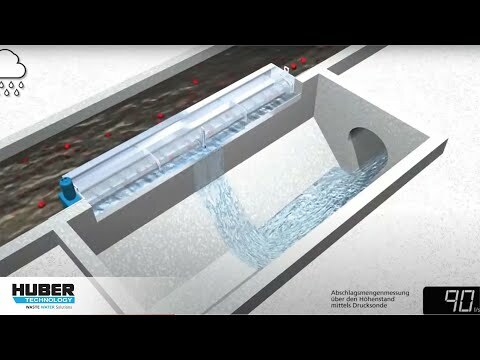 We have the suitable HUBER screen for any pumping station: our HUBER Coarse Screen TrashMax® offers protection even against biggest interfering substances while our robust HUBER Multi-Rake Bar Screen RakeMax® is especially suitable to be used in deep channels and with high peak solids loads. For smaller pumping stations and manholes with limited space we have developed our vertical HUBER Pumping Stations Screen ROTAMAT® RoK4 which cobines vertical transport, dewatering and compaction of the removed screenings in one unit. Our product range also includes solutions for water screening in overflow structures (CSO): Our HUBER Storm Screen ROTAMAT® RoK1 is installed on the rear side of overflow weirs, while our HUBER Storm Screen ROTAMAT® RoK2 as inverted upward flow screen is installed on their front. Both screens are provided with semi-circular perforated plates that are self-cleaning with screws and brushes. We also provide measuring weirs for discharge measurement / flow monitoring and special flow restrictors and gates for discharge control. As equipment for manholes and pits we supply various stainless steel components, such as manhole covers, ladders, step irons, guardrails, access aids and complete pre-fabricated manholes. 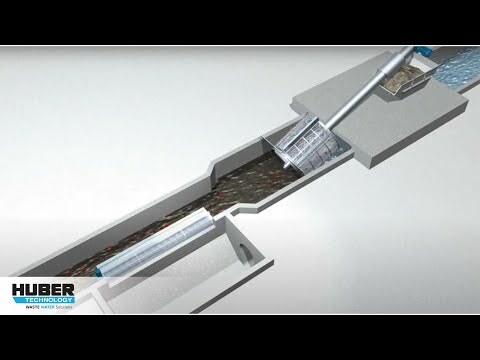 Sewers offer also the possibility to install HUBER solutions that enable heating and cooling of buildings with watewater.